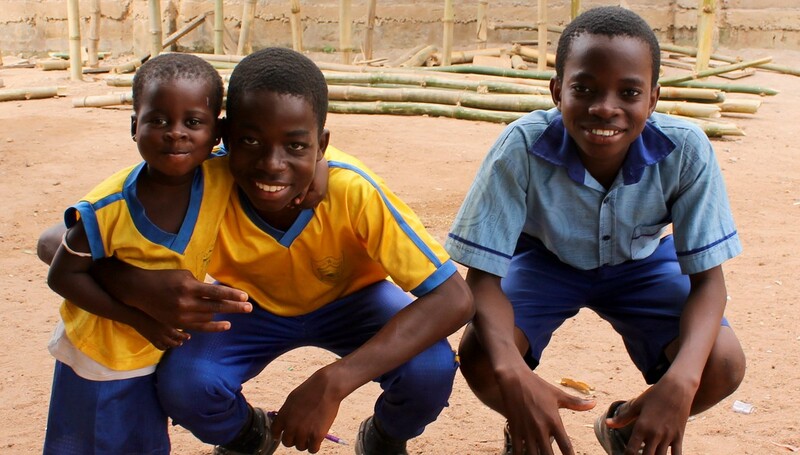 VPWA offers the opportunity to make an enormous difference to the life of a child in Ghana. Many children in Ghana suffer from malnutrition, inadequate medical care, poor housing and have little opportunity to receive an education. Sponsoring a child makes a real difference to their lives and future. By sponsoring a child you will guarantee that their school tuition fees are paid in full and that they have school uniforms, books and stationary. Money will also be contributed to the child’s food, medical care, and clothing. Through sponsorship you have the opportunity to connect with a needy child in Ghana and see the difference your support makes to their life. As a sponsor you will receive a picture of your sponsored child, information on their family, living conditions and country, as well as a correspondence address so that you can write to your sponsored child. Your sponsored child will in turn write to you at least twice each year. You will also receive publications with updates on other VPWA projects that our many sponsors and supporters make possible. The cost of sponsoring a child in Ghana with VPWA is $45.00 a month. To sponsor a child please download our Child Sponsorship Form. You can also contact VPWA about sponsoring a child on email – childsupport@vpwa.org. Payment of sponsorship can be made in a number of ways. You can pay by credit card or cheque via www.libertytransfer.com which offers the cheapest means to send money to Ghana. You can also request VPWA bank details to arrange a transfer. Many sponsors choose to send their sponsorship quarterly, twice a year, or yearly. Liberty transfer: You can send donations using your credit card via www.libertytransfer.com. You will receive a return receipt when your donation is received. For more information please contact VPWA at childsupport@vpwa.org or +233 243 340112.